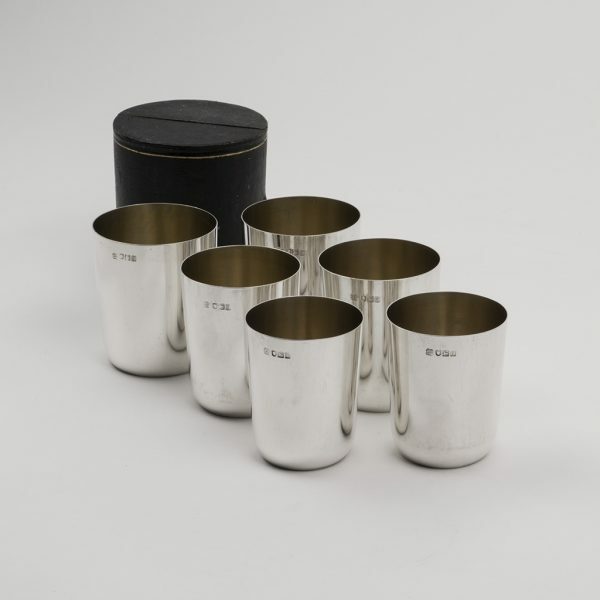 A set of six silver ‘stacking’ Beakers by Hukin and Heath. 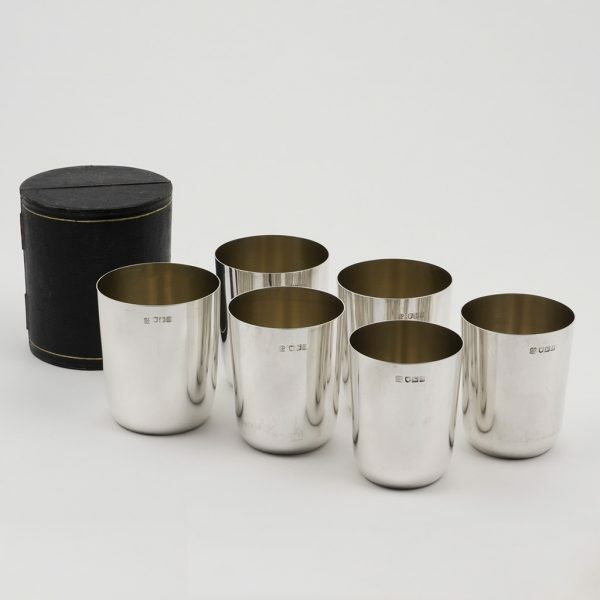 A Set of six silver stacking Beakers, London 1902 [3 beakers] and 1904 [3 beakers]. Each is marked by Heath and Middleton for Hukin and Heath. The interiors of the beakers silver-gilt. 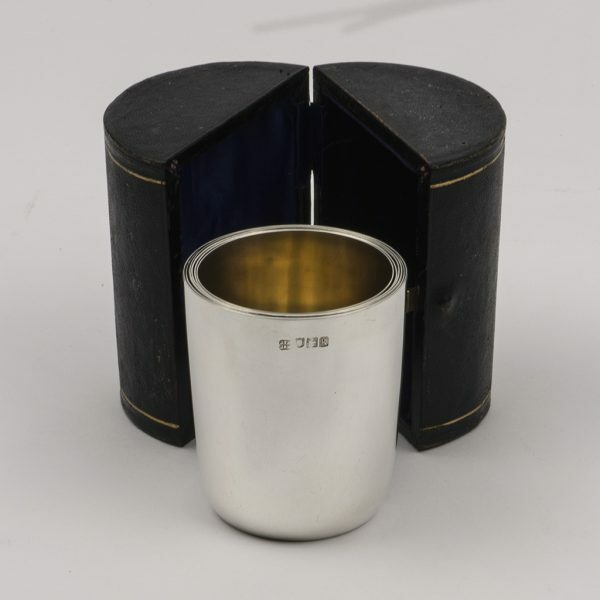 Send Enquiry for A set of six silver ‘stacking’ Beakers by Hukin and Heath. Good with minor surface marking. The outer case is not original. 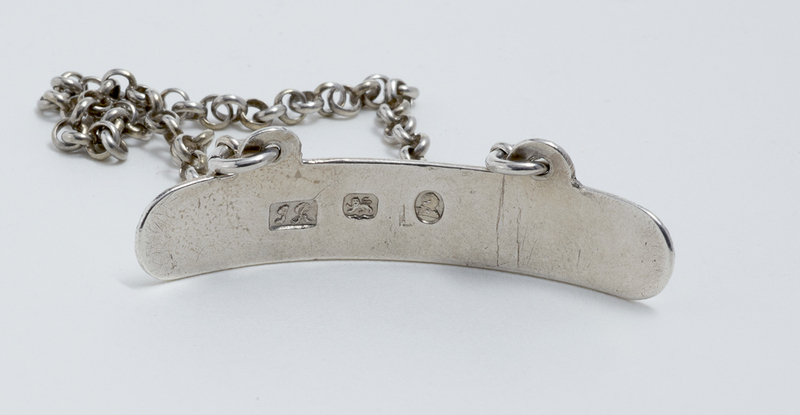 Weight [of the set] – 1082.90 gms. 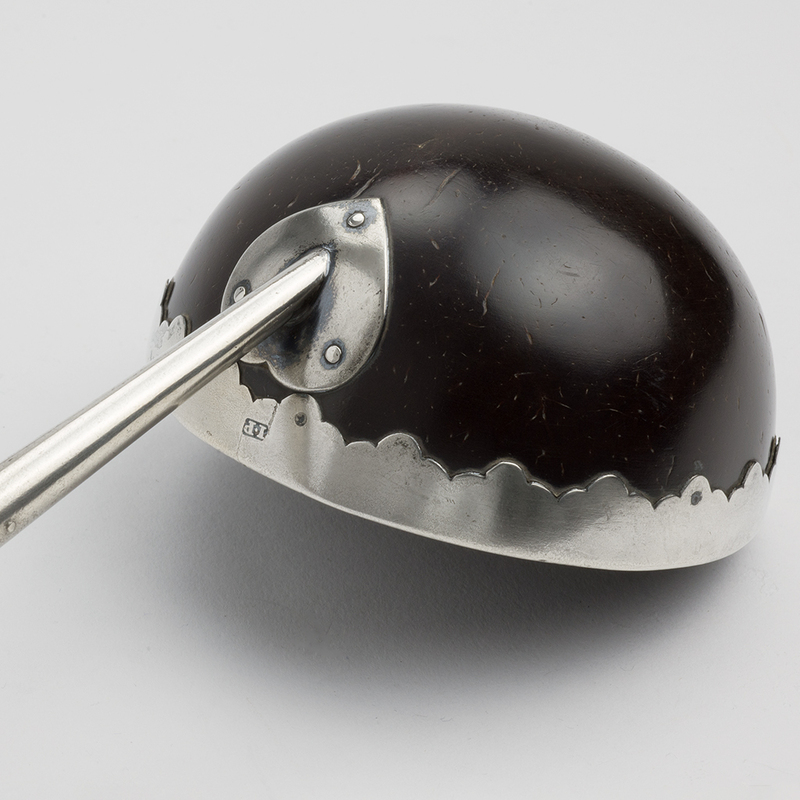 A George III silver-mounted Punch Ladle for a Drinking Club. 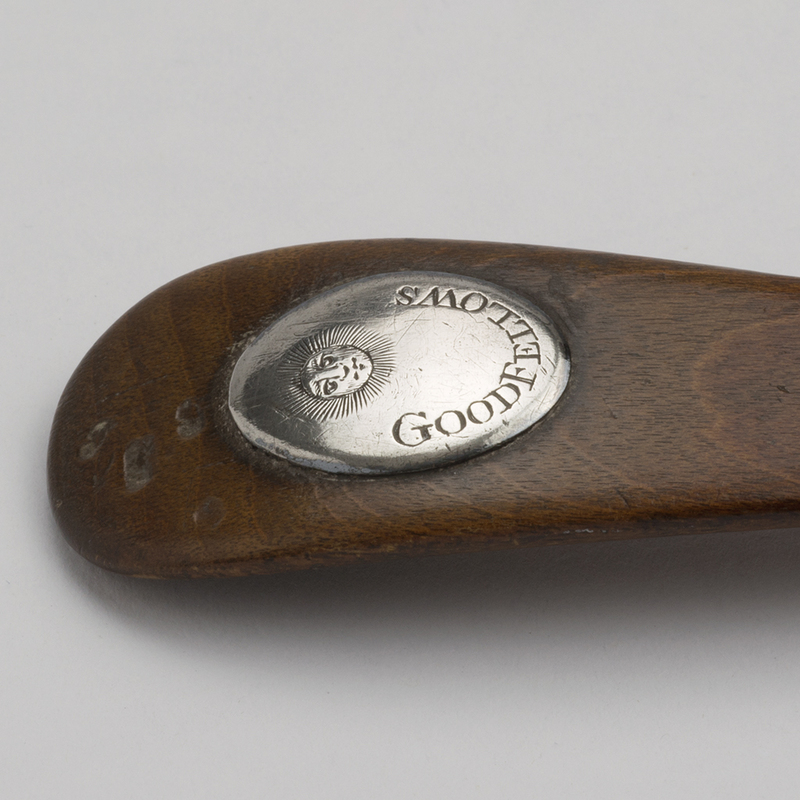 Send Enquiry for A George III silver-mounted Punch Ladle for a Drinking Club. 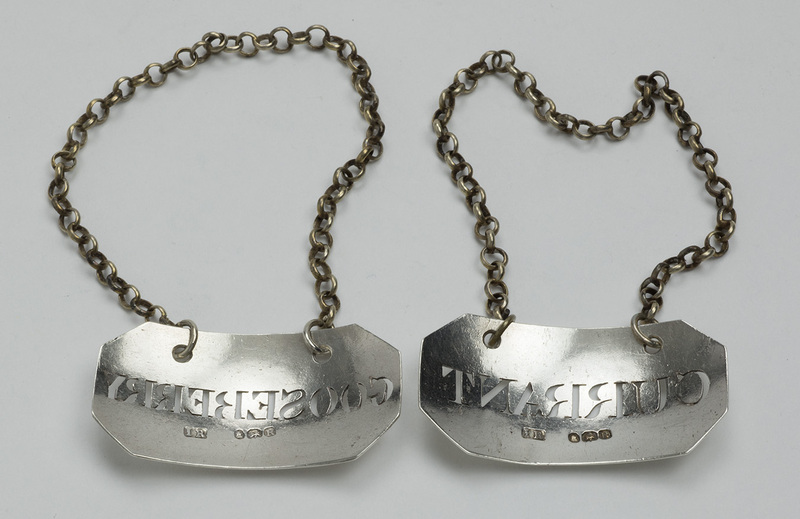 George III silver Wine labels for ‘Gooseberry’ and ‘Currant’ Wine. 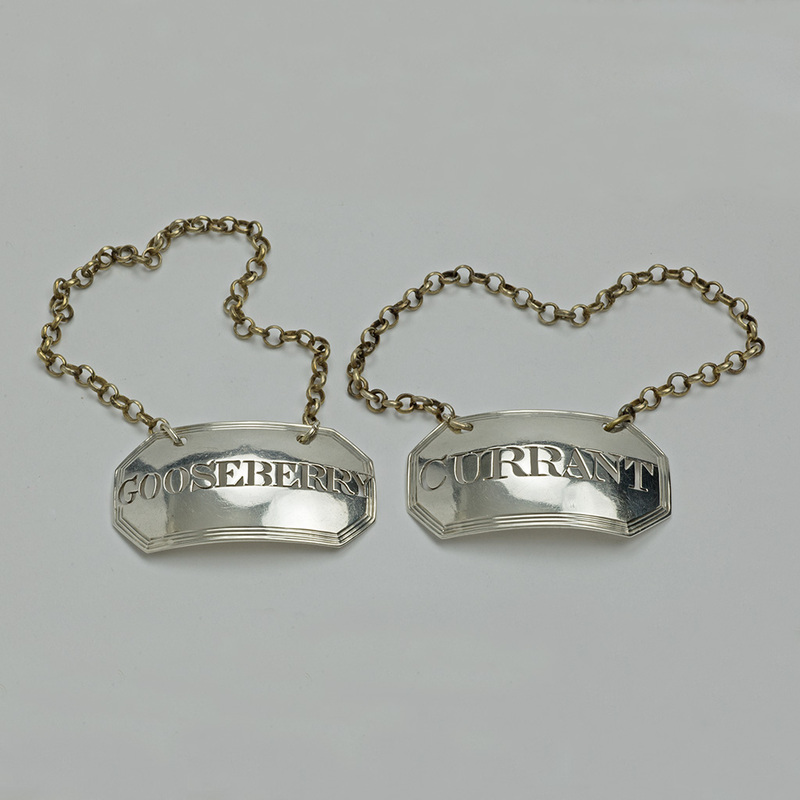 Send Enquiry for George III silver Wine labels for ‘Gooseberry’ and ‘Currant’ Wine. 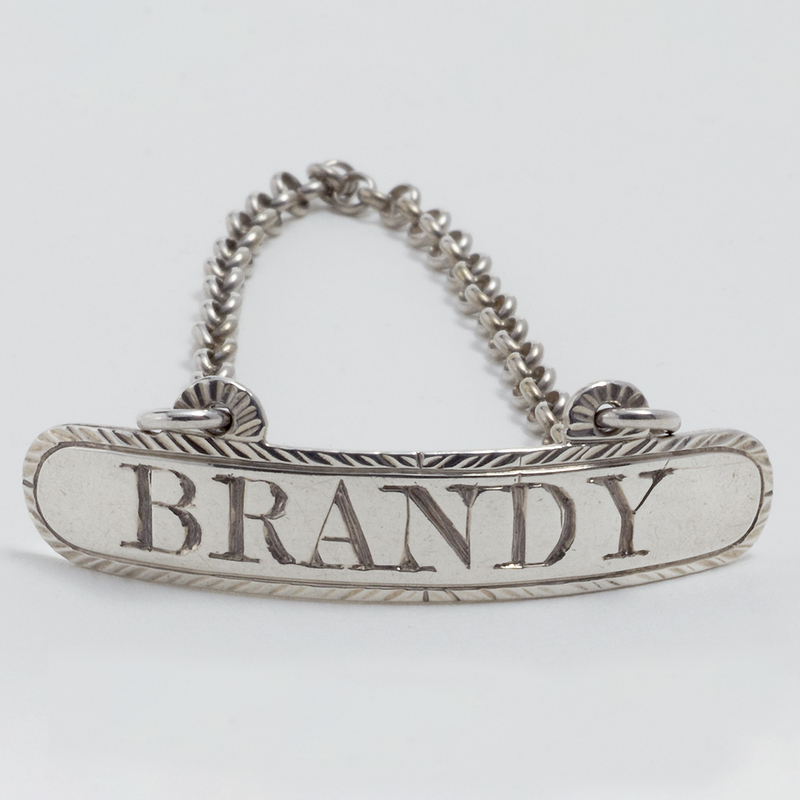 A George III silver Brandy Label. 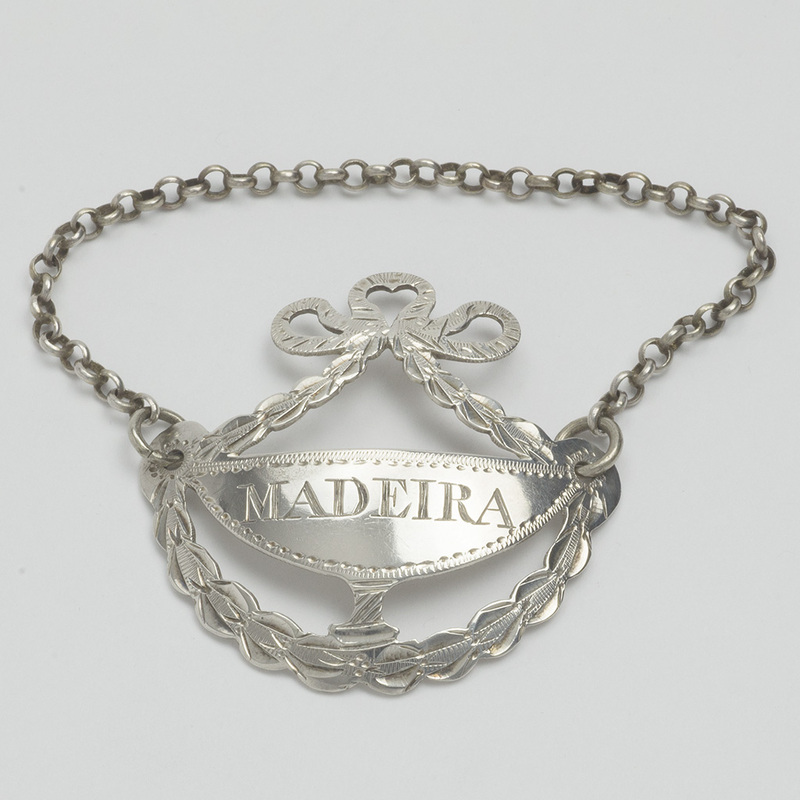 Send Enquiry for A George III silver Brandy Label. 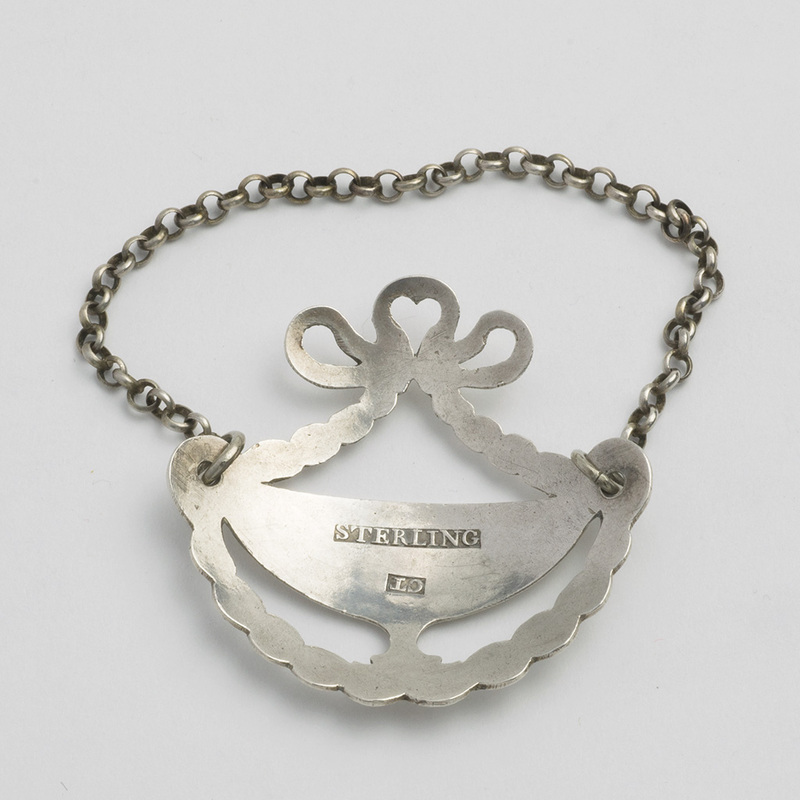 An Irish provincial silver Wine Label. Send Enquiry for An Irish provincial silver Wine Label. previous post: An Edwardian silver mounted Beaker.